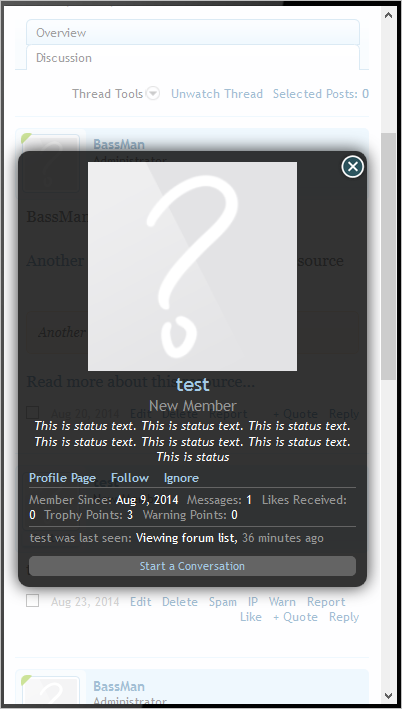 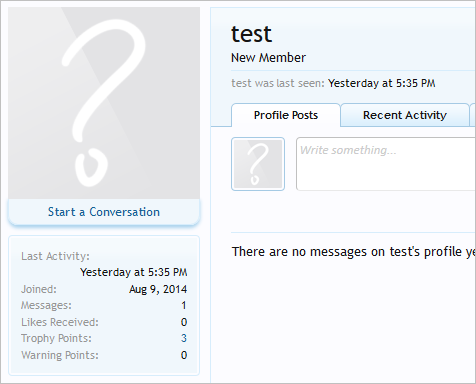 This add-on will add a button under avatar on profile page, postbit, member card, notable members page and/or online staff sidebar block to quickly start a conversation. 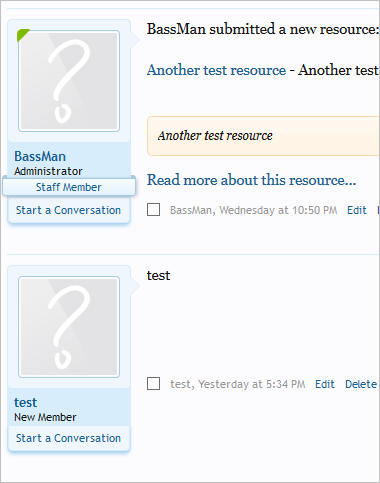 Edit conversationbutton_info_avatar_new phrase to change text for button in postbit under avatar. 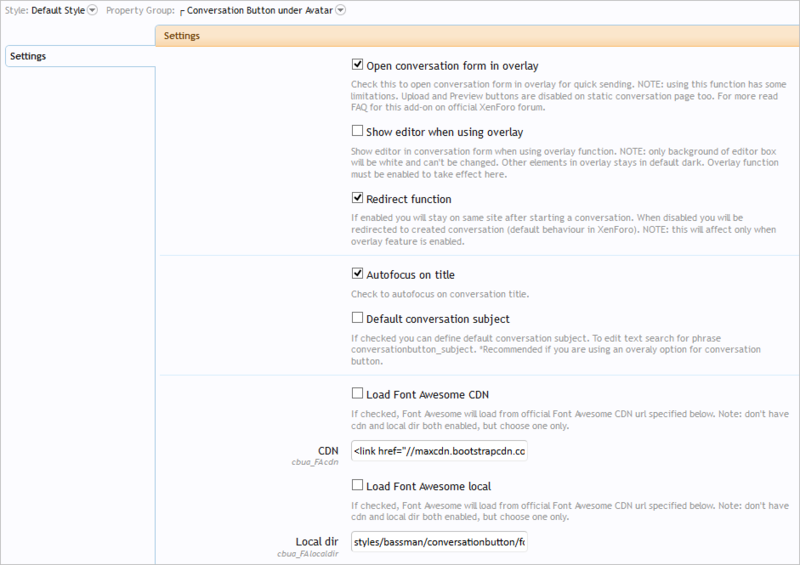 Edit conversationbutton_info_new phrase to change text for button in postbit under user information. 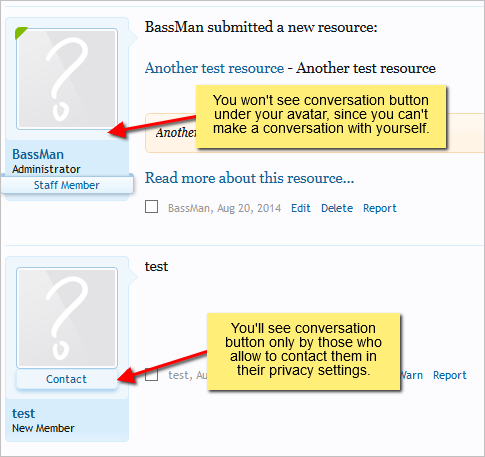 Edit conversationbutton_profile_new phrase to change text for button on profile page. 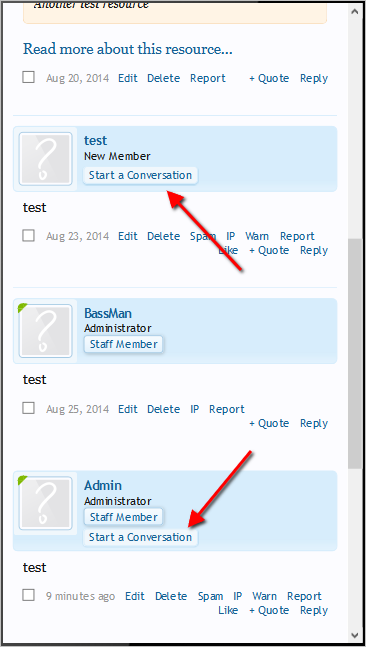 Edit conversationbutton_staff_new phrase to change text for button in online staff sidebar block. 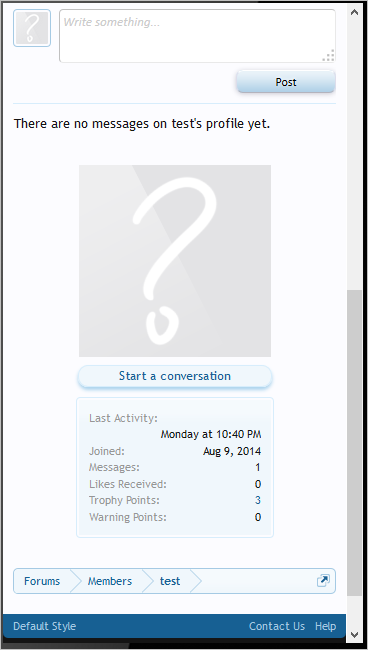 Edit conversationbutton_card_new phrase to change text for button on member card. 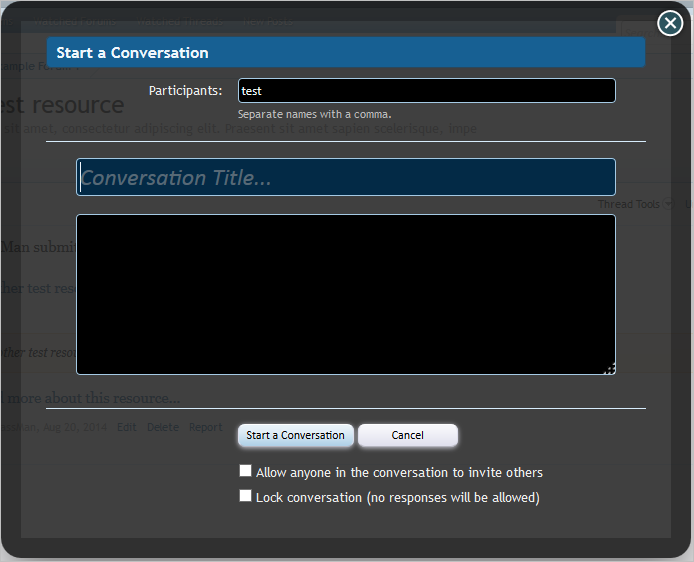 Edit conversationbutton_subject phrase to change text for conversation title. 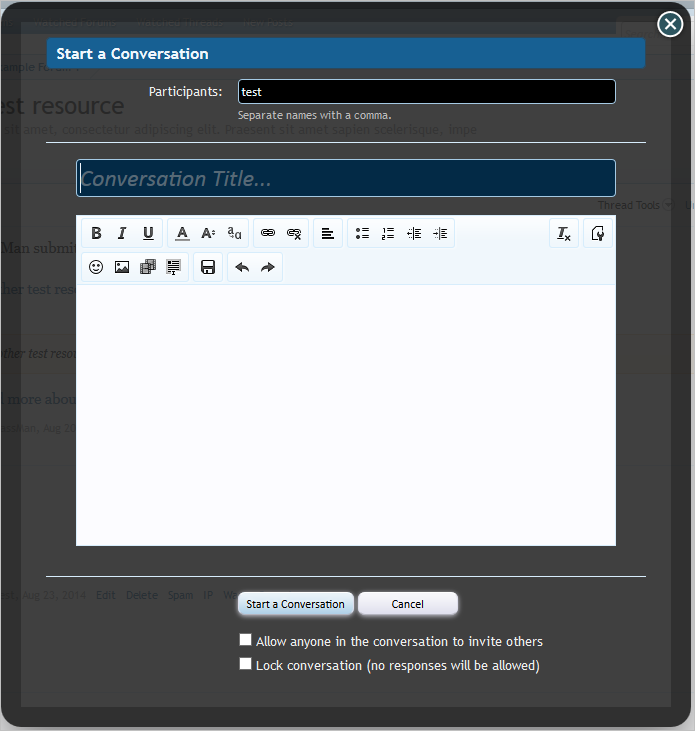 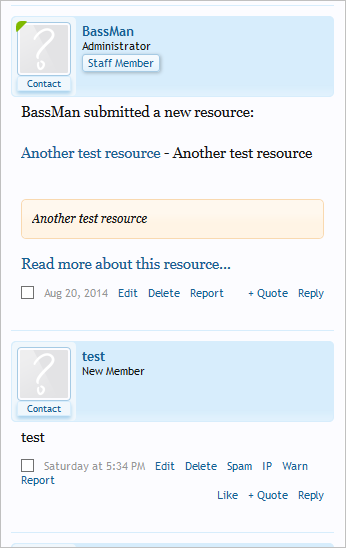 Edit conversationbutton_resource_view phrase to change text for button in resource view sidebar block.